APACC upholds the mandate to continuously improve the quality of TVET institutions through institutional assessment and accreditation and advocates to further spread its reach and benefits to more countries. This year, APACC adds the institutions and polytechnics in the Republic of India in its growing network of accredited institutions that vigorously uphold regionally accepted standards on quality and excellence. 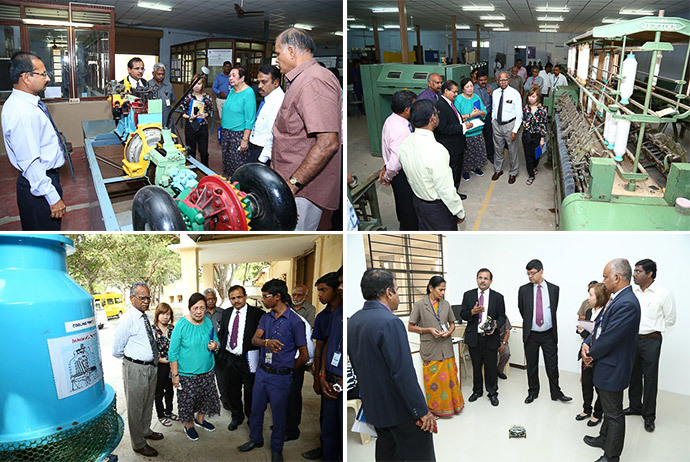 The first ever on-site visit in India commenced at the Nachimuthu Polytechnic College Pollachi (NPCP) from January 5 to 7, 2017. The 3-day accreditation activity was headed by Dr. Romulita Alto, APACC Team Leader and CPSC Faculty Consultant along with Prof. Dr. G. Kulanthaivel, CPSC Faculty Consultant and APACC Team Member and APACC Support Staff, Ms. Felice Jeanine Marquez. Dr. Ramhari Lamichhane, APACC President was also present to show his support to the APACC accreditation activities. 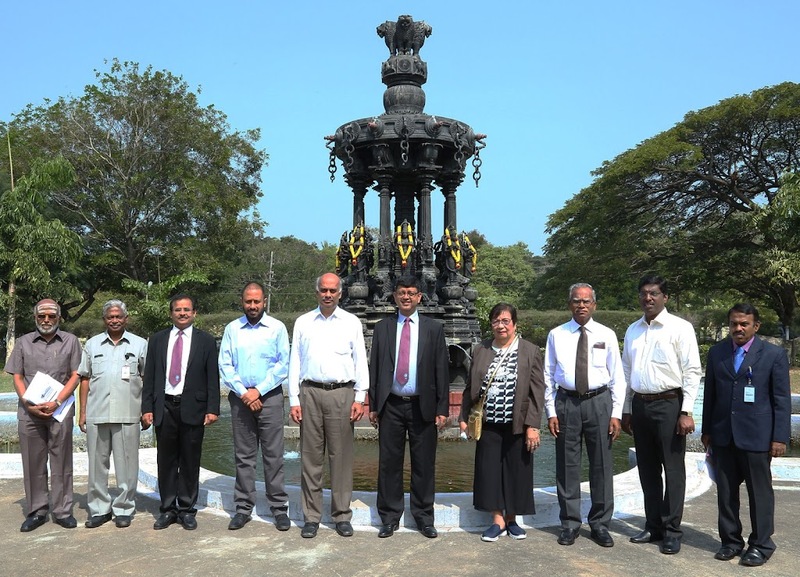 The APACC Team was warmly welcomed by NPCP officials headed by Dr. M. Manickam, Chairman of NIA Educational Institutions, Pollachi, Mr. Harihara Sudhan, Correspondent NIA Educational Institutions, Pollachi, Prof. C. Ramasamy, Secretary, NPCP and Mr. R. Manivannan, Principal of NPCP. During the welcome remarks, Dr. Manickam stated that it is a milestone for the polytechnic to be the first in India to undergo APACC accreditation. On the other hand, Dr. G. Kulanthaivel expressed his gratitude to NPTC for pursuing the accreditation in his speech to the audience and he also shared that some institutions are starting to gain interest in applying for the APACC Accreditation in India. Dr. Romulita Alto briefed the institution on the on-site visit schedule and activities. She also shared that the onsite visit is a new chapter of NPCP and she hopes that even after this activity, the polytechnic will continue to embrace and love accreditation as a way of life. In response to this, Dr. Ramhari Lamichhane mentioned in his keynote speech that he sees a good vibe and bright future for the polytechnic in the momentous event. The accreditation team went around the school campus to check and validate their claims based on their submitted Self-Study Report. NPTC was assessed against the following APACC Accreditation Criteria: (1) Governance and Management, (2) Teaching and Learning, (3) Faculty and Staff, (4) Research and Development, (5) Extension, Consultancy and Linkages, (6) Resources, and (7) Support to Students. Results of the on-site visit activity will be communicated to NPTC after the deliberation of the APACC Board. The Nachimuthu Polytechnic College Pollachi located in Coimbatore district in the state of Tamil Nadu, India is a government aided and autonomous institution established in May 9, 1957. It was founded by renowned philanthropist, Aruthchelvar Dr. N. Mahalingam in memory of his beloved father, Thiru P. Nachimuthu Gounder. The polytechnic envisions to provide state of the Art Technical Education with skills oriented training to the youth to meet the industrial requirements of the region. Its mission is to offer high quality, contemporary education at the diploma level and thereby enrich the technical capabilities of the rural people and the nation, to upgrade regularly, the facility and the competencies of faculty and staff so that they contribute to the all-round development of students to become good citizens and to develop students as good Diploma Engineers/Technicians and Entrepreneurs useful to society and good citizenry. Prof. C. Ramasamy, Secretary, NPCP has been working in this Institute as Faculty/Principal from 1957 till date and the institution is currently being headed by the Principal, Mr. R. Manivannan.